This was sort of an unexpected beer day today; I was supposed to have a meeting but the person never showed, and since I was a short distance from the Moan and Dove I decided that I should at least accomplish something, thus I stopped by for a couple of beers. I had one beer that I liked (the Rodenbach Classic Flemish sour brown ale) and one that I didn’t (Schlenkerla Marzen, a German rauchbeir). I planned it like that; I’ll have to drink beers I don’t love, so I figured I might as well might them up. 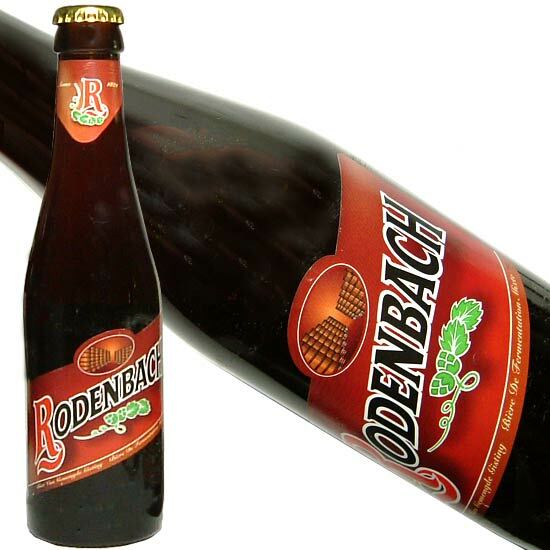 The Rodenbach Classic is a variety of beer that not everybody likes; when I was a kid eating raw limes was like popping a lemon drop in my mouth, so I like flavors that grip my mouth, and that’s what the Flemish sour brown ales do. Rodenbach Classic is milder than some of the other sour browns I’ve had, but good nonetheless. Personally I enjoy these beers without food. Not sure what food I would pair with a sour ale. The Schlenkerla Marzen is a Rauchbeir, or smoked beer (they smoke the hops). I’ve had the same beer as a draft, which I enjoy much more because the smoke flavor is mellow, as opposed to the over the top smoke in the bottled beer. Think smoky campfire in your mouth, that’s what this beer packs. And the aftertaste is too much; an hour later I still taste the beer. If you smoke cigarettes, you’ll love this beer! With a gun to my head I’d drink this beer with a char broiled burger.